Montreal writer Linda Leith was born in Belfast, Northern Ireland. Educated in English, French and German, with a Ph.D. in English Literature from the University of London, she has lived in London, Basel, Brussels, Paris, Ottawa, and Budapest. 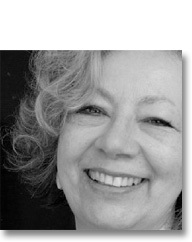 She has published three novels: Birds of Passage (Signature Editions, 1993), serialised on Between the Covers (CBC Radio) nightly for three weeks in 1995; The Tragedy Queen(Signature Editions, 1995), a "Canadians Recommend" title for Canada Reads 2003 and translated into French as Un Amour de Saloméby Agnès Guitard, winner of the Governor General's Award for translation 2003; and The Desert Lake (Signature Editions, 2007). Her most recent non-fiction title is Marrying Hungary (Signature Editions, 2008), a memoir origianally commissioned for publication in French as Épouser la Hongrie. The French translation is by Aline Apostolska (Leméac, 2004) and the Serbian by Aleksandra Mancic (Rad, 2005) and Introducing Hugh MacLennan's Two Solitudes, a literary monograph (Toronto: ECW Press, 1990), appeared in October 2008 as Deux Solitudes (XYZ Editeur, translation by Hélène Rioux). Travels with an Umbrella, An Irish Journey (Signature Editions, 2000), Leith's translation of Louis Gauthier's Voyage en Irlande avec un parapluie, was nominated for the Glassco Prize for a first work of literary translation in 2001 and for the Quebec Writers' Federation Prize in literary translation in 2002.